I finished the big custom job I needed to finish and got it mailed back to it’s owner. Yea! Here lately I’ve been trying to sew for myself on Sunday’s. 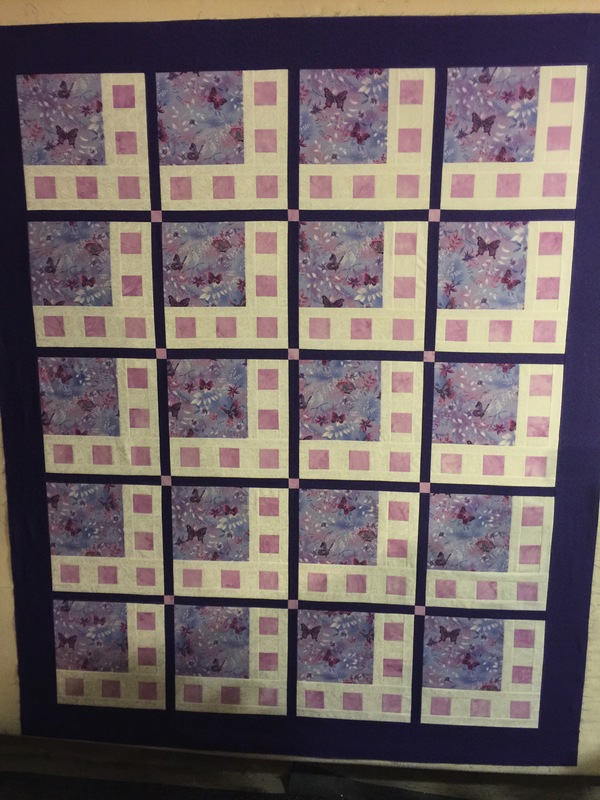 I did get the quilt sewn together that was on my wall last week. Yesterday I decided to come up with something for the back, so I found a couple pieces of leftover wide backing. 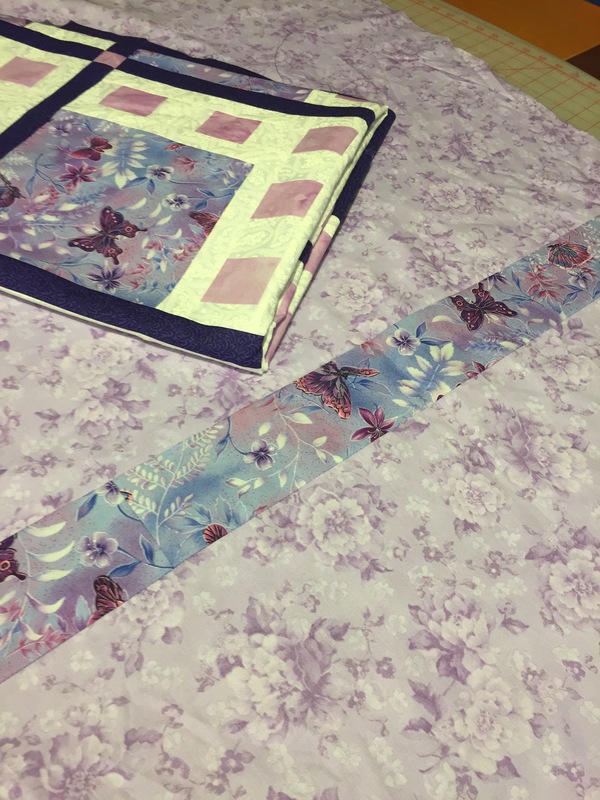 I cut and peiced them and added the last remaining piece of the butterfly fabric that I used in the top. More fabric from my stash! Yea! 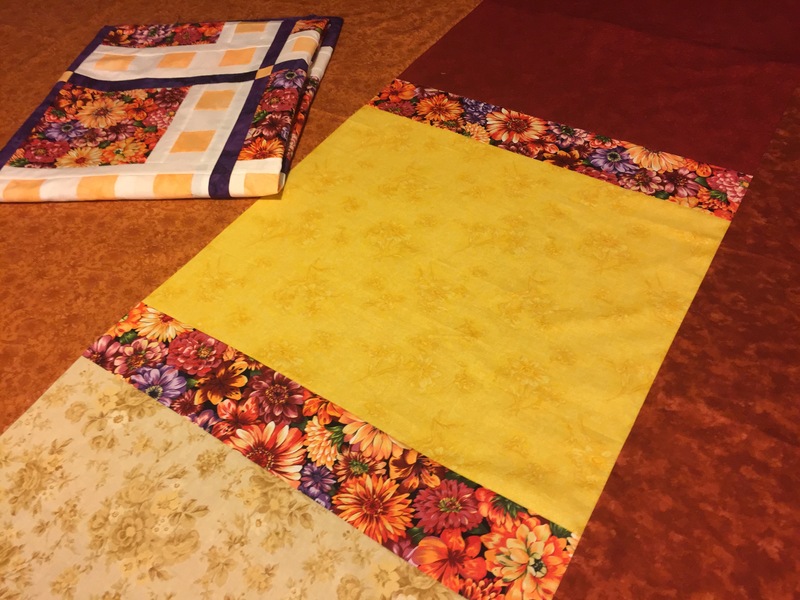 After that I decided to see if I had anything that would go with the other stash quilt I made. It’s not made with colors that I normally use, so I thought I was going to have to buy something. Once I started going through my fabrics I came up with some yardage, fat quarters and a piece left over from something. I even worked the last strip I had from the fabric in the top. After that, I decided to start working on the delectable mountain blocks that I need for the border on the deer quilt. 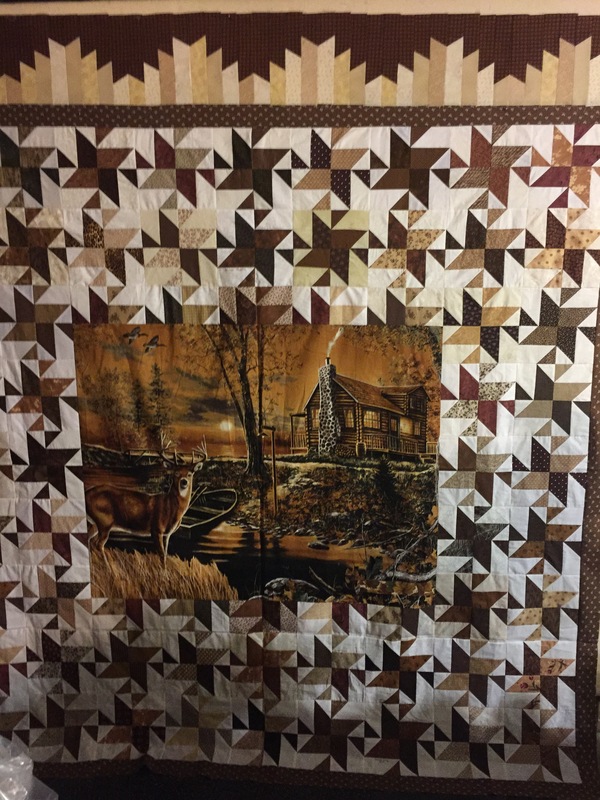 So the deer quilt is back on my wall with one border pieced together. Your quilts are fabulous. I love the border.